Connie May didn’t intend to create a world-class premier sports park when she had the idea for Scrap Yard Sports. She simply needed a place to practice, knew what she wanted out of a facility and made it happen. 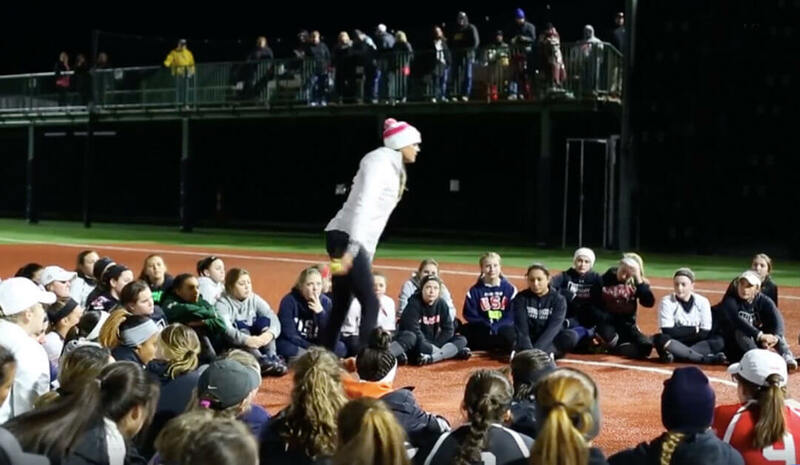 Having played softball growing up, then moving into coaching and parenting a young athlete, she knew first-hand the limitations of other facilities. So, she created her ultimate facility wish list. Whether it was having the bullpen behind the dugout or offering covered seating for spectator comfort, Connie’s wish list has become a reality. But she will tell you she doesn’t work a day in her life because her passion and her profession are now one. Connie first picked up a softball when she was five years old. When the Olympic committee announced in 2005 that women’s softball would no longer be a part of the Olympic experience in 2012, she took it personally. In fact, she began making what she calls, “ripples” in the sport in an effort to bring women’s softball back to the Olympics. She is enjoying the resulting waves as softball will make its return in 2020 and has already been included in the 2024 and 2028 games. Now, she is determined to do what she can to make sure USA Softball is standing on the top of the podium. With 14 players on the invite list for the Olympic trials, she is turning her attention to making sure they have the resources they need to remain healthy. Connie also understands first-hand the role proper recovery can have in maintaining an athlete’s performance. After having a total knee replacement, she turned to Sandstone Health for rehabilitation. Together with Dr. Tony and the staff, she was able to regain her strength and range of motion and get back to doing what she loves. Of course, one of Dr. Tony’s passions is caring for elite athletes. Recognizing the repetitive stress so many athletes put their bodies through, he uses every technique at his disposal to not only help them recover after injuries but also prevent injury and support better performance. 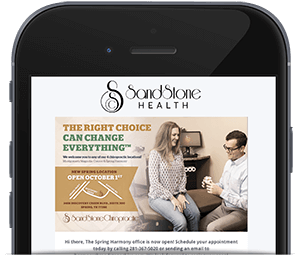 Just like Scrap Yard Sports has created one of the most innovative stadiums in the world, Sandstone Health has taken chiropractic care to a whole new level by offering state-of-the-art therapies that keep softball players on the field. This is especially true for pitchers who pitch every game, sometimes every day. Incorporating cryotherapy, pulsed electromagnetic field therapy, and other techniques into chiropractic adjustments, Dr. Tony is able to offer a variety of tools that are exclusive to the Sandstone Health family. Best of all, the athletes love the care they receive, often tweeting about their therapies and how great they feel afterward. Of course, the results speak for themselves. In 2017, the Scrap Yard Dawgs won their first National Pro Fastpitch title in a best of three-game series. We can’t wait to see what the future will hold for these amazing women and the rest of the Scrap Yard Sports family.